Location: Acadia National Park • Date: 9/12/16 • Standard Print (w & h): Image: 49.5" x 42.1"
This image is composed of 9 individual shots taken at 90mm. It was taken in the early morning at one of the beaver ponds north of Eagle Lake. 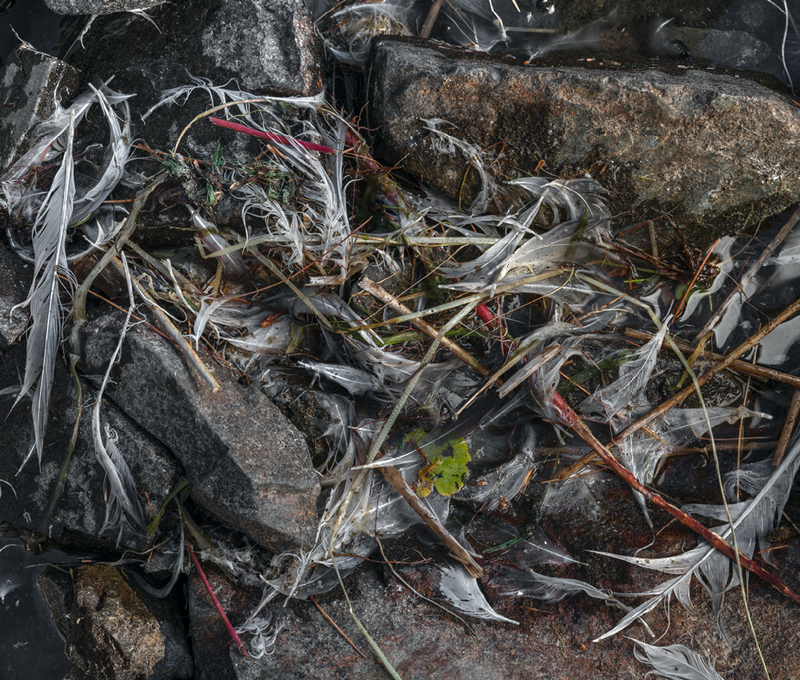 I was standing at the edge of the pond deciding if I wanted to wade out into the water to shoot some reeds when I happened to look down and see these feathers floating at my feet.